Santorini is the latest mega tourist destination to acknowledge that their fine town is in jeopardy of being run over by thousands of tourists. Dubrovnik, Venice and Barcelona are all taking steps to reduce the load on their infrastructure. With world population reaching towards 8 billion, the impact on landmark sites is taking its toll. The cruise industry is drawing about 25 million passengers a year. They tend to go to prime destinations. This is understandable. 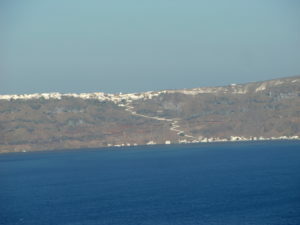 The Greek island hosted over 12,000 in 2017. During the popular times of year, multiple ships roll in. The extinct crater that forms the area, is beautiful. The town that sits on the top of the crater is all in white and even looks like snow from a distance. It’s believed by many that this is the site of the mythical Atlantis. Recent digs at Akrotiri have surfaced an ancient civilization. 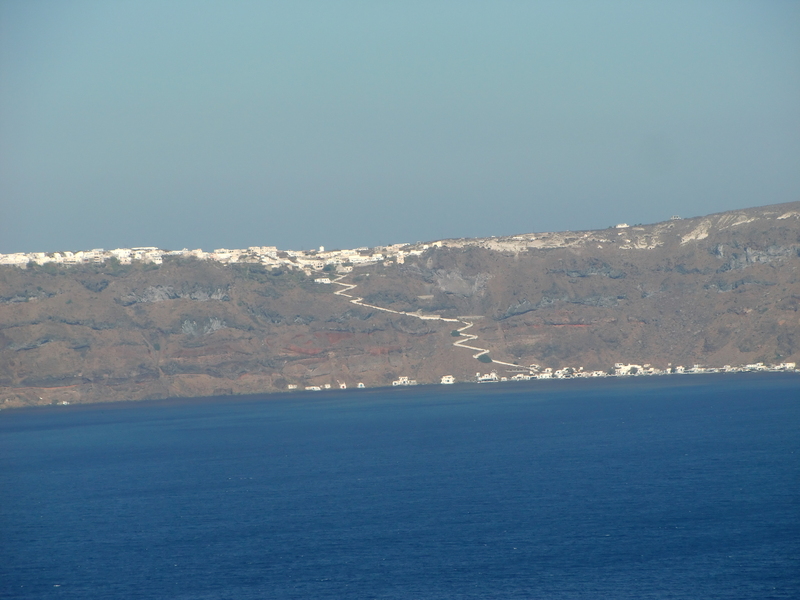 Santorini – That’s not snow on the top. It’s the white homes. To combat the crowds, the town leaders have begun an outreach to the cruise lines to schedule stops at various times. There is no dock there, so ships have to tender passengers in. Proposals to stagger arrival days as well as disembarkation times are being formulated. A target is to have an hour buffer, with am and pm arrivals. How many want to ships plan to go there? 439. Ships have to be scheduled just like aircraft. 451 are already registered for next year. Yes, YOU can get a free cruise there. I’ve been three times. The place is great and I’d go back. We can show you how you can get a free trip for two. How? By giving Enrichment or Destination talks. Fill out the comment section below and we’ll reply quick-like a bunny with the process.